Halloween music can set the mood for your Halloween party, haunted house, tricked out porch, or just get you all pumped up and ready to celebrate Halloween. There's free Halloween music here for everyone — kids, adults, and everyone in between. You'll find TV and movie Halloween music, your favorite Halloween tunes from popular artists, as well as original compositions that you'll love. The free Halloween music that can be found all over the Internet and you can either download it or stream it in a matter of seconds. I've included playlists as well as popular downloads. If you're looking for free Halloween sounds instead of free Halloween music, be sure to see our list of the best places to find Halloween sounds. If you're looking for other free music find out how you can listen to free music online and download free music. There are 44 tracks of free Halloween music at Haunted Illinois! You'll find some downright scary Halloween music here as well as themes from the Addam's Family, Beetlejuice, Bewitched, Ghostbusters, Great Pumpkin Charlie Brown, Halloween, Alfred Hitcock Presents, Incredible Hulk, Psycho, Twilight Zone and Tales from the Crypt - just to name a few! Click on the links to preview the free Halloween music here or right-click and choose Save Link As to save these MIDI files to your computer. Spotify has dozens and dozens of free Halloween music organized into playlists like Halloween Party, Halloween Teens, Halloween Hipster, Disney Halloween, Halloween Oldies but Goodies, Kids' Halloween Songs, Classical Halloween, Rob Zombie's Halloween, and much more. You can learn more about Spotify and other places to listen to free streaming music. Just search for "Halloween" at any of them to find lots of playlists and songs. Oddio Overplay has released the album Calling All Fiends that is chalk full of Halloween music. This album is classical Halloween music that conjures up pictures of ghosts, goblins and dark hallways. The entire album is available to download for free. Click on the individual songs to stream the music or click on Download Album to download and save the entire album to your computer. Google Play Music has a nice selection of Halloween Stations with themes like Iconic Horror Movie Scores, Ultimate Halloween Party, Haunted Hip Hop, NIghtmare City Punk, Pumpkin' Carving Party, and several others. Haunted Bay had a great collection of spooky Halloween music including popular themes as well as some unique originals. 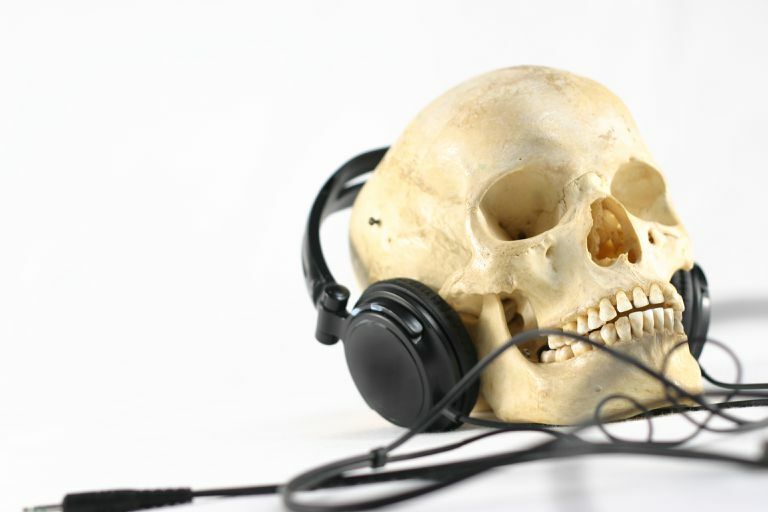 The Halloween music is in Midi, MP3, WAV and Real Audio file formats. Follow the directions on the website on how to download the Halloween music tracks. You'll find free Halloween music here such as theme songs from the Adams Family, Charlie Brown Great Pumpkin, Ghost Busters, and the Twilight Zone. Also here is Thriller and Monster Mash for your listening pleasure. Click on the links of the free Halloween music to listen to them in your browser or right-click and choose Save Link As to save them on your computer. YouTube has a ton of free Halloween music that you may not be able to download, but you can listen to as much as you like. You'll find all the popular Halloween tunes here and original spooky music, as well as hours upon hours of background music that would be perfect for a party or haunted house.